Ever since the invention of the 100 Crore Club by Ghajini, as many as 66 films have accomplished this milestone. However, an even bigger milestone in the current times is for a film to manage this feat not just during its entire lifetime but in the opening weekend itself. Of course, this is a very tough milestone to crack. No wonder, only nine films in the past had managed this feat. In fact if one doesn’t account for Baahubali 2 [Hindi] then only eight Bollywood films have scored this record in the past. Incidentally, out of these eight Hindi films, barring Tiger Zinda Hai and Dhoom: 3, the rest of the releases had one festival holiday to contribute to the huge numbers. Diwali, Christmas or Eid fell either on the opening day or during one of the three days, as a result of which the numbers were pumped up by a huge degree. No wonder, the 100 crore earning of Sanju during the opening weekend itself is all the more remarkable as there has been no holiday to help its cause. Moreover, it has also scored a better weekend than Dhoom: 3 and Tiger Zinda Hai. This isn’t all because if one discounts Baahubali 2 [Hindi] then it finds itself right at the top spot of the list when it comes to a non-holiday release scoring the highest in its opening weekend. It is the right thing to say that all records are meant to be broken. 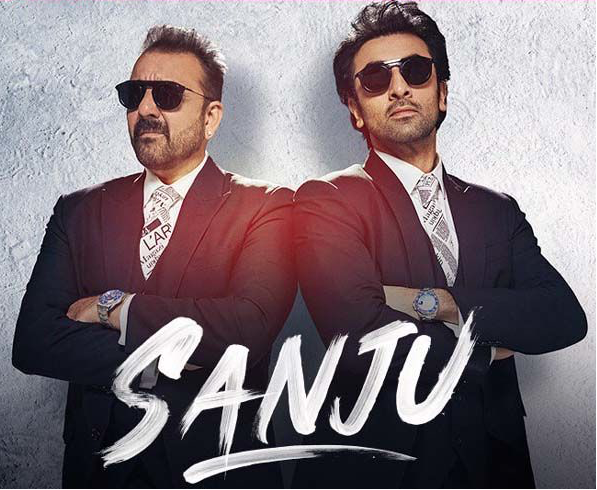 Now with Sanju managing this feat despite being a predominantly multiplex film, one waits to see what really unfolds in the second half of the year. Hopefully there would be newer milestones waiting to be cracked in time to come.